Saudi Arabia's Ambitious Economic Overhaul Hinges On Reducing Its Oil 'Addiction' The government has ambitious plans to diversify the oil kingdom — and that means revamping the world's biggest petroleum producer. Flames are seen at the production facility of Saudi Aramco's Shaybah oilfield in May. Saudi Aramco, Saudi Arabia's state oil company, is often described as the kingdom's crown jewel. It produces more oil than any other company in the world, supplying the world with a steady supply of crude and providing the kingdom with revenues that make up more than 80 percent of the national budget. 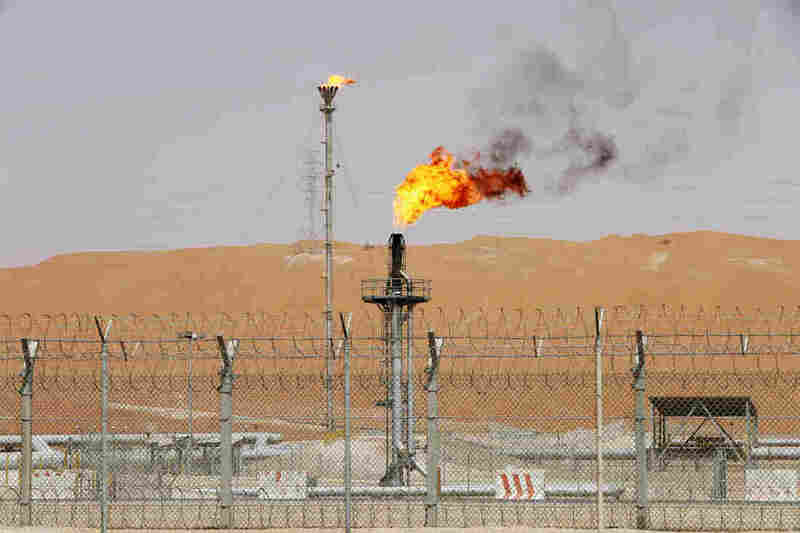 Now, with concerns about the impacts and supply of fossil fuels and a slump in oil prices since 2014, Aramco is at the center of an ambitious plan to diversify Saudi Arabia's oil-dependent economy, which means the company is having to shift the way it has done business for nearly 80 years. Analysts say it is a titanic undertaking. The oil company has been interwoven in Saudi life since oil was first discovered there in 1938. The headquarters of the oil giant is in the eastern city of Dhahran, and is like a separate enclave within the kingdom. In a country where unrelated men and women are often segregated, many members from both sexes work side by side, and wear Western clothes, in Aramco's sand-colored buildings. Inside one of the buildings is a cavernous control room filled with massive screens and charts. Engineers follow the journey of every drop of crude from the moment it is extracted, sent through pipelines and onto ships bound for overseas customers. Aramco officials say 4.5 terabytes of data are received every second from sensors strategically placed throughout the kingdom. "This center is running 24/7... assuring a sustainable, reliable supply to our customers," says engineer Mohammed al-Abdullatif, standing on a platform overlooking the control room. 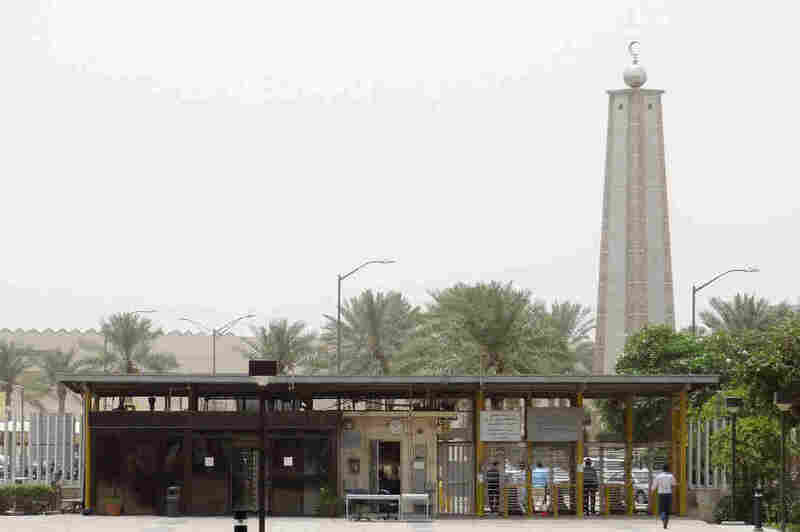 A mosque is seen behind the entrance gate to the headquarters of Saudi Aramco in Dhahran in 2016. Over the years, oil has provided the country — and its royal family — with seemingly unlimited wealth and helped build the country, according to Jim Krane, a Middle East energy specialist at Rice University's Baker Institute in Houston. "Right from the beginning, Saudi Aramco has been one of the best-functioning institutions inside the kingdom. Over the years, it's helped build hospitals, it's eradicated malaria, it's provided water and dug wells for the kingdom," he says. But Krane says Saudi Arabia has been its "own best customer" for crude for a long time, consuming about a third of the oil it produces at rock-bottom prices. Saudi Arabia's Crown Prince Mohammed bin Salman wants to wean the kingdom off what he calls "its dangerous addiction to oil" and create more jobs in diverse sectors. As part of that, he wants to sell off a 5 percent stake in Aramco to international investors. Saudi officials say the oil company is worth about $2 trillion, although international analysts put the value somewhere from $1 trillion to $1.5 trillion. It is being touted as the biggest initial public offering, or IPO, in history, which could bring in hundreds of billions of dollars to Saudi coffers. Sadad al-Husseini, a former executive vice president of Aramco who now heads his own firm, Husseini Energy, says as the primary driver of the economy, it is not surprising the crown prince is focusing on Aramco. "Aramco is a core element of both the Saudi economy and the long-term development of the kingdom's other sectors. So it was obvious he would look at it and see how he could leverage it more," he says. 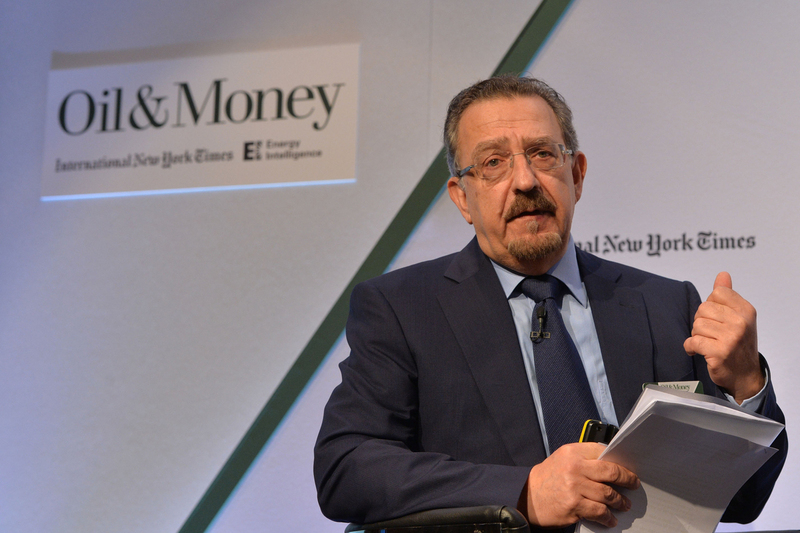 Sadad al-Husseini, a former executive vice president of Aramco who now heads his own firm, Husseini Energy, says it is not surprising Saudi Arabia's crown prince is focusing on Aramco. Saudi officials say the proceeds from the Aramco IPO would be invested in big non-oil projects and to create much needed jobs, says Mohammed al-Tuwaijri, the minister of economy and planning. "It's going to be a very attractive proposition for local and global investors. ... We're very keen [on] opening up our markets and it's a funding mechanism for doing other things," he says. But the sale could make some members of the royal family nervous. Aramco has never opened up its books to the public before, or divulged the size of its oil reserves or its massive profits, says the Baker Institute's Krane. "Saudi Aramco answers to a royal family. At the end of the day, that royal family has thousands of members. And you know, the amount of oil revenues that go to that family are a mystery," he says. "I think the king would like to keep it that way." The IPO comes at the same time Aramco is branching out in other ways. The company is buying up refineries around the world, including in Port Arthur, Texas. It is also developing another use for its petroleum resources — petrochemicals. A short drive up the road from Aramco is the Sadara chemical plant. Outside its security gates, you can see camels wandering in the desert. Inside is a $20 billion facility that opened last year. Sadara officials boast the plant has 160 tons of steel — enough to reconstruct the Golden Gate bridge twice. Sadara is a joint venture between Aramco and the major U.S. corporation Dow Chemical. It converts Aramco's raw oil and gas into chemicals like polyethylene and isocyanates. Those are then exported to other countries and are used to make anything from car seats to lipstick. Sadara has also built an industrial park to entice international companies to manufacture products with its petrochemicals in Saudi Arabia, as opposed to overseas. Sadara was already being constructed before the then-Deputy Crown Prince Mohammed bin Salman launched his economic reform plan in 2016, says its CEO Faisal al-Faqeer. But he says now Sadara is being held up as a prime example of other valuable uses for Aramco's oil besides export. "Now there is focus, there is big support from the government," he says, adding this is the crown prince's "baby." The government believes making petrochemicals, selling some of its cherished corporation and diversifying the economy are all necessary pieces of a sweeping economic overhaul. But whether the kingdom has the will to pull it off is another question. 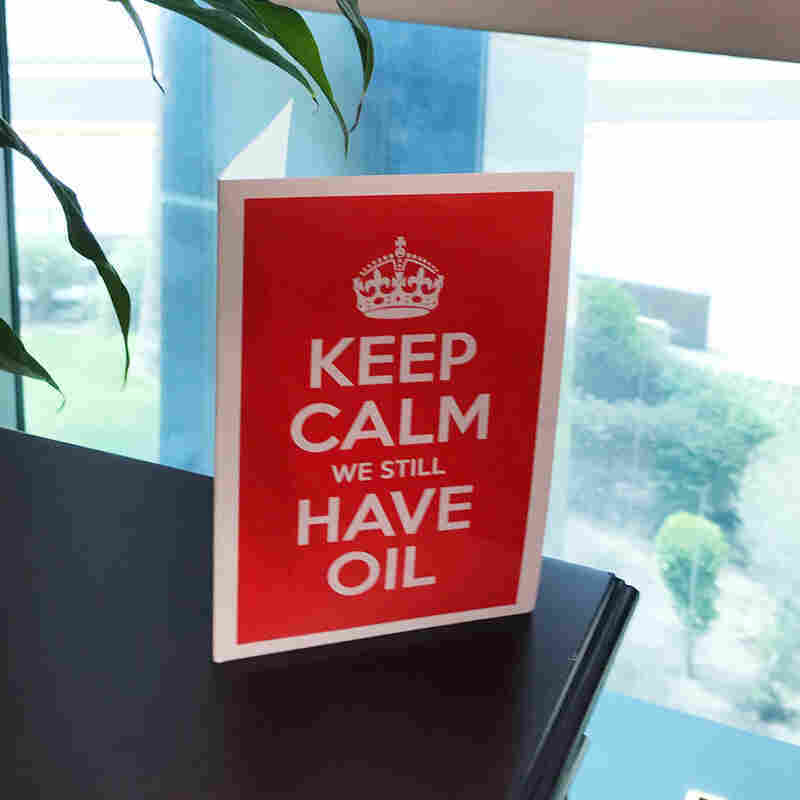 As a card sitting on the desk of an Aramco executive office says: "Keep calm we still have oil."